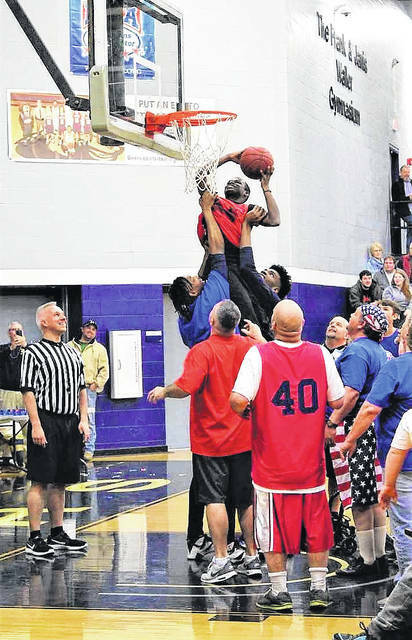 The Hardwood Heroes Celebrity Basketball Game on Saturday ended in heartache for the celebrity team, which lost in a lopsided contest, 104-19. This year’s celebrity team may well have set the record for the least scoring in the event’s 10-year history. However, the event raised more than $2,000 for Scioto County Special Olympics. All funds raised will be used to support local adult and youth Olympians in reaching their goals in physical fitness and competitive sports, such as basketball, bowling, golf, track and field, and volleyball. Scioto County Special Olympics teams travel throughout the year to compete against Special Olympics teams throughout southern Ohio. 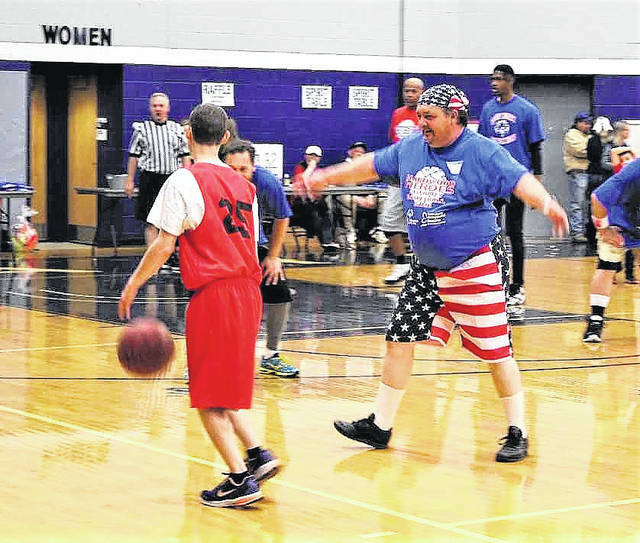 Scioto County Developmental Disabilities sponsors the annual Hardwood Heroes event, which is one of two major annual fundraisers for the Scioto County Special Olympics program. The other is the Walk-A-Thon at Tracy Park in the fall, which also serves as a kickoff for the Special Olympics athletic season. 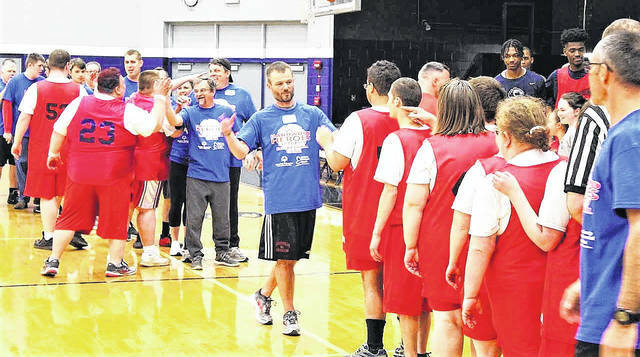 Scioto County Special Olympics appreciates all the volunteers who contribute to make the event a success, including the Scioto County Board of Developmental Disabilities, Southern Ohio Correctional Facility, Shawnee State University’s Athletics Program, SCDD’s Awareness Committee and the celebrity team. This year’s celebrity team was comprised of Mike Bell, Autism Project of Southern Ohio; Tyler Clifford, Bailiff, Scioto County Domeestic Relations Court; Hope Comer, publisher, The Daily Times/The Community Common; Dirk Cunningham, RCW Entertainment; Erin Daniels, Minford High School record-breaking player; Bryan Davis, Scioto County commissioner; Noah Fannin, Portsmouth High School teacher and trainer; Sean King, 98.3 WPAY Country Superstars; Jeff Kleha, attorney and member of the Scioto County Board of Developmental Disabilities; Mark Richards, The Daily Times; Ryan Salmons, State Farm Insurance; Capt. Dan Simco, Portsmouth Salvation Army; musician Josh Stewart; Kristen Bradshaw, Portsmouth High School teacher and softball coach; SCDD Superintendent Matt Purcell; and Bill Runyon, RCW Entertainment.